Located in Jaipur, Rajasthan, Mahal Rajwada Resort is counted among one of the topmost hotels well-known for offering world-class accommodation services according to the various needs and requirements of the clients. Keeping in mind the comfort and convenience of the clients, we are offering Accommodation Services in different type of rooms such as Deluxe Room, Deluxe Guest Room, Royal Deluxe Room, Standard Room and Furnished Room. Proper care is being taken to ensure the clients do not face any problem regarding their accommodation while staying with us. Located in Jaipur, Rajasthan, Mahal Rajwada Resort is counted among one of the premium hotels offering world-class accommodation services for the convenience of the clients. Keeping in mind the different need and requirement of the clients we are offering Deluxe Room which has all the facilities that are required to make sure the clients have a comfortable stay. We take special care to the clients with all the amenities and also make sure the Deluxe Rooms are offered to the clients in a clean and hygienic condition. At Mahal Rajwada Resort we are also offering accommodation services in Deluxe Guest Room to ensure they have the most comfortable stay while staying with us. Based in Jaipur, Rajasthan, we are counted among one of the topmost hotels operating in the region. The Deluxe Guest Rooms are fitted with all the modern amenities and facilities for the convenience and comfort of the clients. With 24-hours service just a call away; the Deluxe Guest Rooms are the best accommodation you can get. For a royal treatment and world-class services, book a Royal Deluxe Room at the Mahal Rajwada Resort. Based in Jaipur, Rajasthan, we are one of the reputed hotels well-known for offering world-class accommodation services in Royal Deluxe Rooms. Keeping in mind the comfort and convenience of the clients, we have fitted the Royal Deluxe Rooms with all the modern amenities. In the Royal Deluxe Room the clients will find all the required facilities that will make their stay the most comfortable experience. Being a reputed hotel, at Mahal Rajwada Resort, we understand that not everyone can afford a lavish room. Keeping in mind the various budget of the clients, we are offering accommodation services for the valued clients in Standard Rooms. As a premium hotel located in Jaipur, Rajasthan, we understand the various need and requirement of the clients and accordingly provide them with accommodation services in Standard Rooms which are not only clean and hygienic but also have all the basic facilities to ensure the clients have a comfortable stay. At Mahal Rajwada Resort, we are offering Furnished Room for the comfort and convenience of the clients. Based in Jaipur, Rajasthan, we are counted among one of the reputed hotels well-known for offering Furnished Rooms for the convenience of the clients. 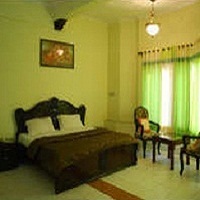 The Furnished Rooms are properly furnished with furniture such as comfortable bed, chair, table, cupboard, etc. according to the requirement of the clients. The Furnished Rooms are also provided with various amenities that are required to make the stay of the client is a comfortable one.